On that day, the parents, Kepi and I made our way to the Seven Oaks Lavender Farm in Virginia. It was a trip to take my mind off from what about to happen - the bone marrow biopsy. I got a promotional ticket for three and a free gift of Lavender cuttings. It was drizzling when we drove to the Lavender Farm. The beauty of the world masked the pain inside me. That day, I had fears but I tried to feel "ok."
A wild white rabbit welcomed us, as we walked towards the Lavender fields. I wanted to pick up and hug the bunny; he's that cute. Kepi took this photo. I'm amazed at how his photography skills have improved. This is my favorite shot. A yellow in the midst of lavenders. I feel like that sometimes. Mom cutting Lavender stems for the house. My basket and my Lavender cuttings. Every tiny flower on each stem is blessed with uniqueness, fragrance and beauty - just like us, humans. Although we're tiny specks of dust in this whole wide world of creation, each of us are all blessed with great strength and tenacity. We are tiny specks that truly matter. I went to a lavender farm this June too bec I missed it last year. I also have 3 big lavender (English lavender) and 3 other varieties of lavender in my yard. I love cutting the stalks and decorating the house with it. This trip must have reenergized you. 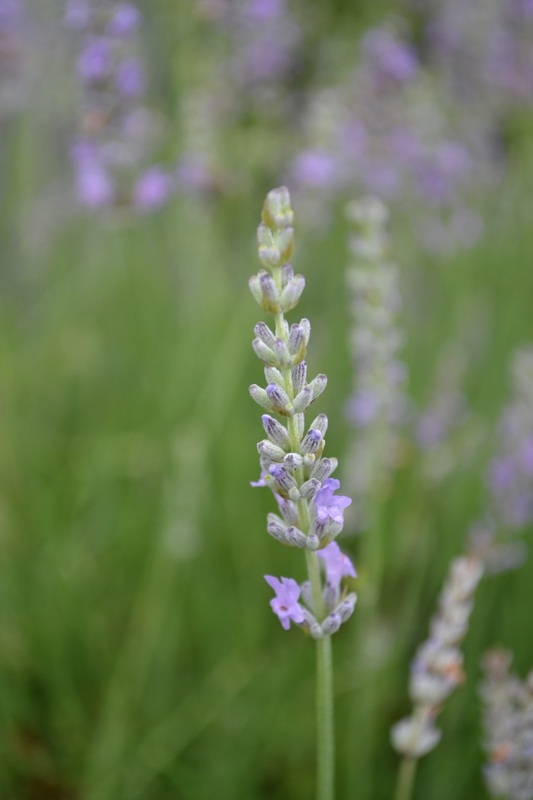 Why oh why doesn't a lavender grow in Pilipinas nating mahal? Just wondering.... Hehehehe. Very beautiful shots. I love lavender, it has such a wonderful smell. And that bunny is beyond cute. I would love to visit a lavender farm someday haha. Just made lavender oatmeal soap yesterday and love the smell. :) Real lavender buds would be great. That's a nice candid shot of your mom. One of the photos reminded me of a rabbit that I met near the lift many years ago. Strange huh.